Move with confidence with Laufenn tires. The name “Laufenn” derives from the German word “laufen” which means “run.” A sensible choice for many driving applications, Laufenn raises the bar in the value category by offering features such as jointless, nylon band overlays and belt-edge wraps for safety and durability. Laufenn is the relatively new second brand of Hankook Tire and backed by that South Korean company’s commitment to research, development and testing. They are manufactured exclusively at Hankook’s plant in Bekasi, Indonesia. Currently, we carry the Laufenn I FIT ICE line of studdable winter tires. As the name implies, they are excellent performers on ice, snow, and slush. When you buy Laufenn tires from Tire Warehouse, you receive our famous One Easy Price, including FREE mounting, balancing, FREE alignment check, and our 30-Day Best Price and 30-Day Ride Guarantees. See a better price somewhere else? 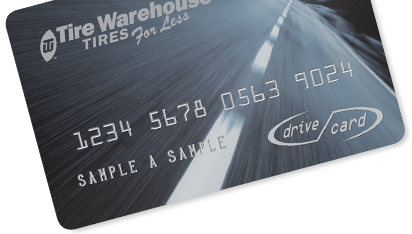 Tire Warehouse will beat any competitor’s tire price by 5% and give you 30 Days Price Protection after the sale. Don’t like your tires after you’ve driven on them? Return them within 30 days or 500 miles, whichever comes first, and we will exchange them for a set of equal value.